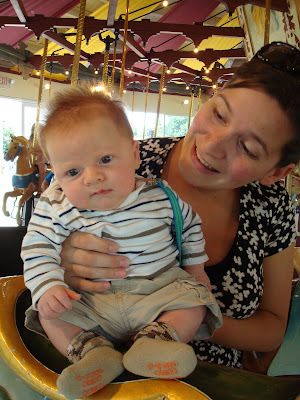 Rob and I rode the Bug Carousel when we were dating and went to the Bronx Zoo. We took our engagement pictures on the Central Park Carousel. We’ve ridden carousels at Flushing Meadows, Rye Playland, and Six Flags. Something about a good merry-go-round makes me smile. When Simon is bigger I can’t wait to take him on the one in Bryant Park. Congress Park in Saratoga has a restored carousel. The tails are made of real horse tails! 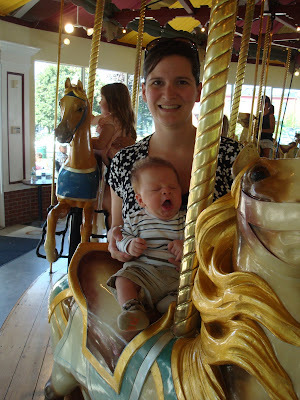 Of course we had to ride and take Simon on his first ride. 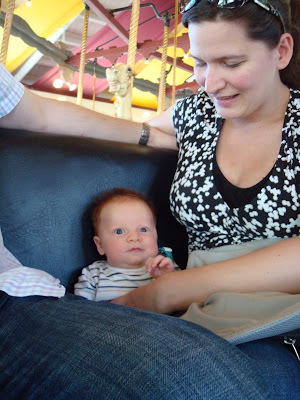 Since he was only 6.5 weeks old at the time we decided it was best he ride in the stationary carriage. But that didn’t stop us from taking some pictures on the horses first. 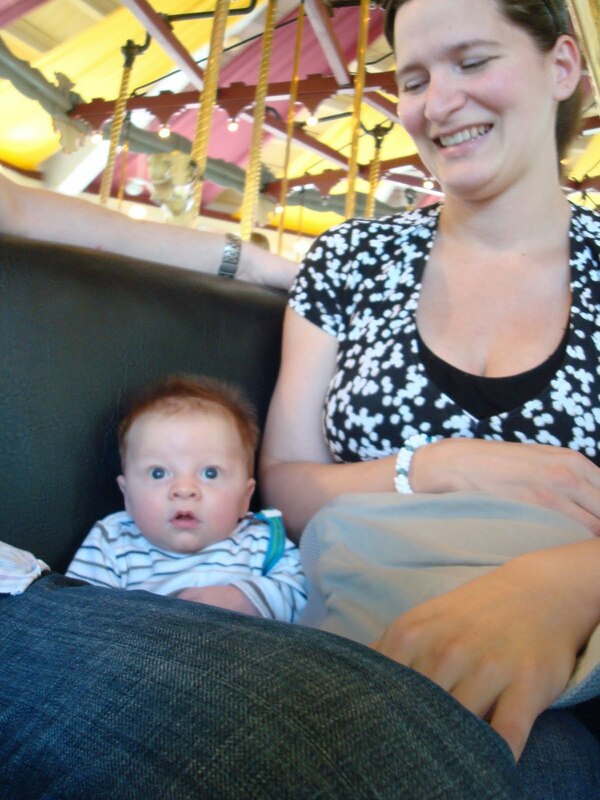 First Carousel Ride of what I hope will be many more to come.